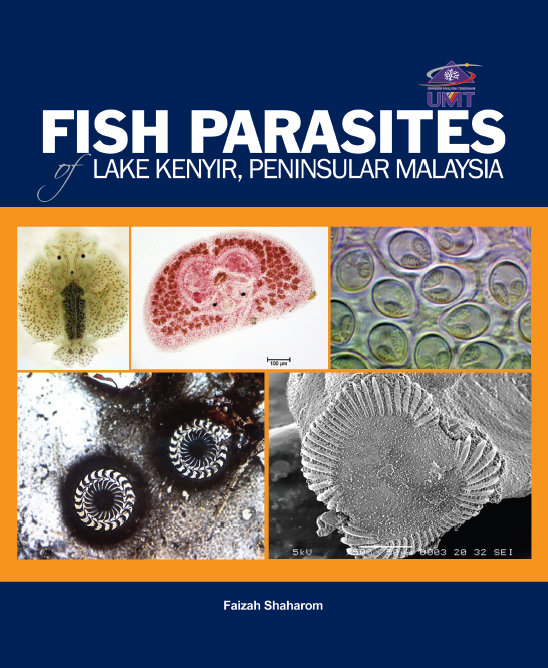 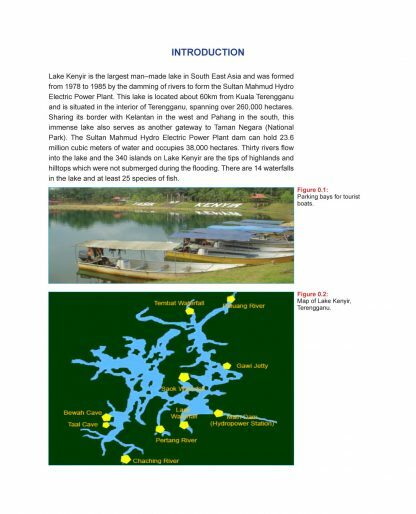 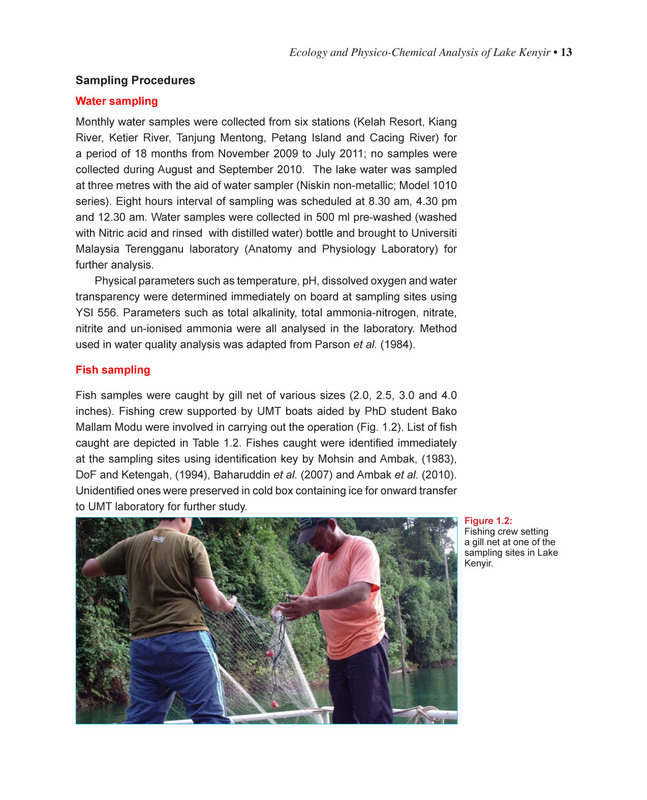 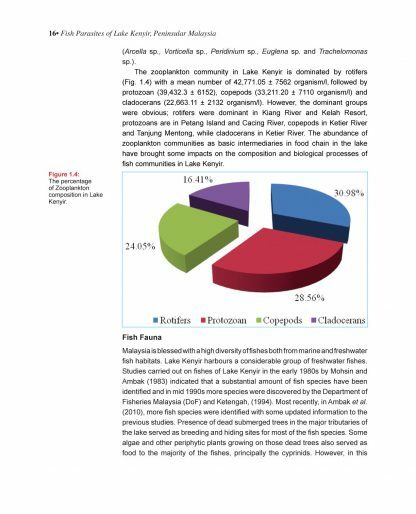 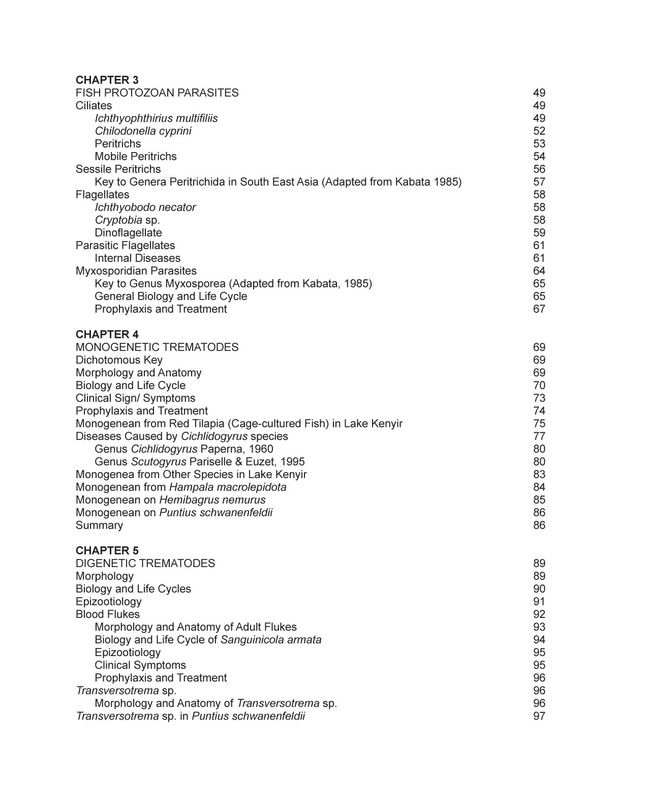 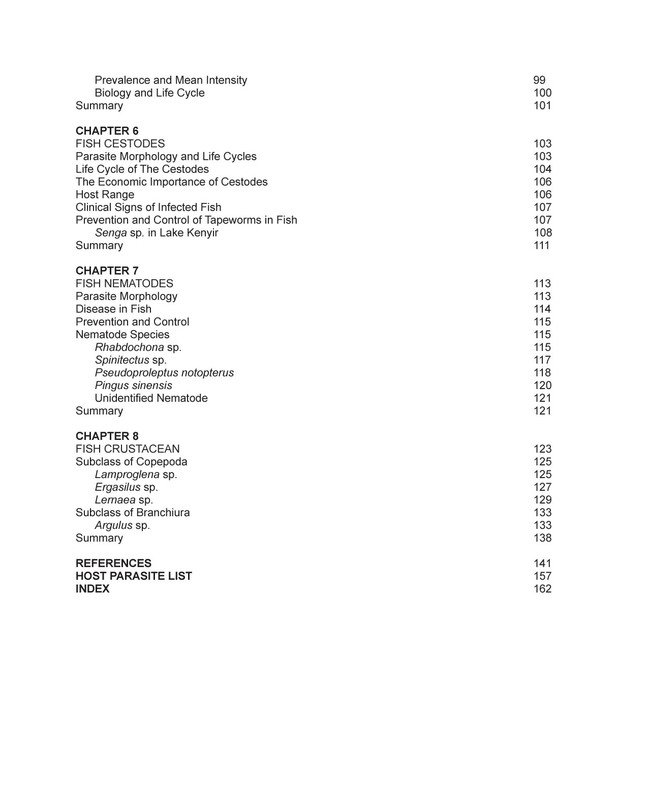 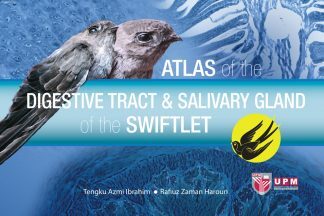 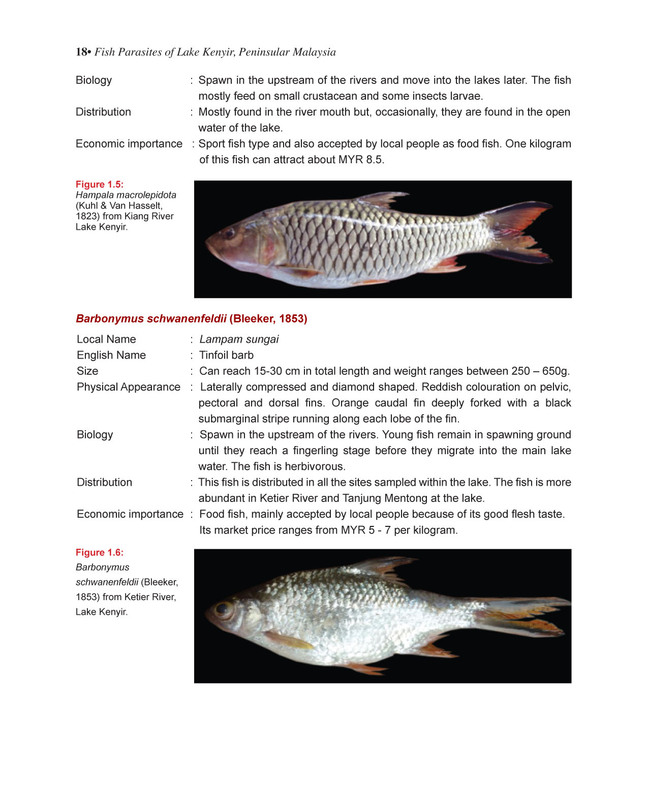 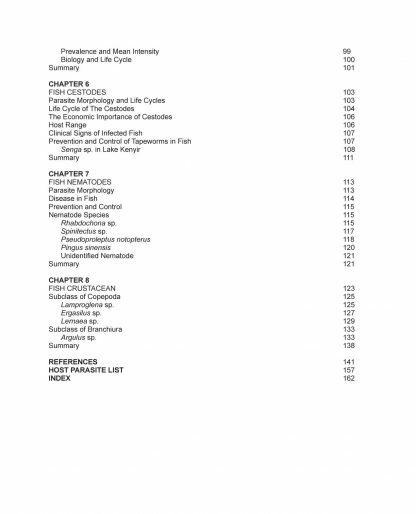 The main purpose to publish this book is as a guide to freshwater parasites infecting the fishes in Kenyir Lake, Terengganu. 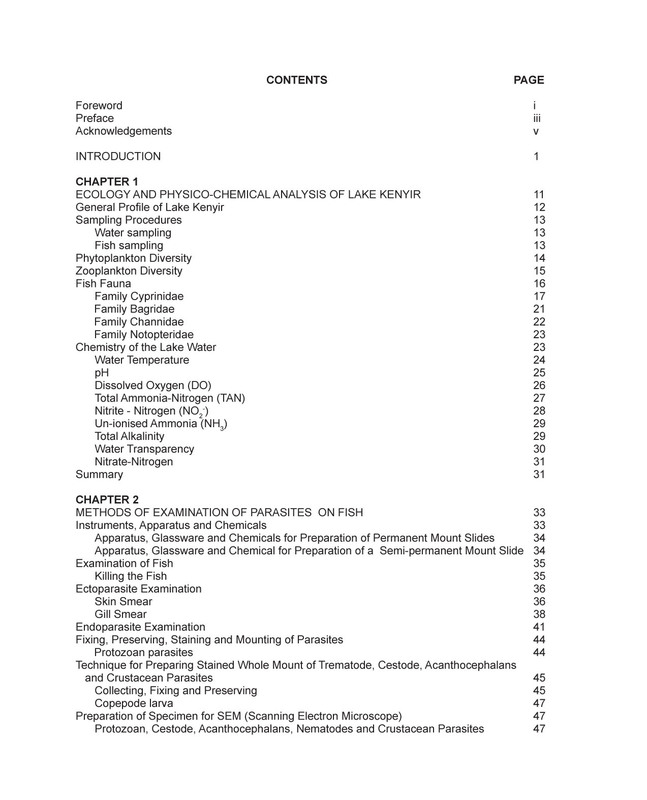 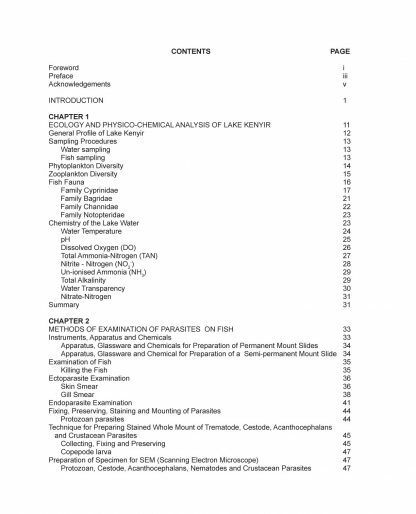 The ecology and physic-chemical analysis of the lake is describe as well as description of common fish parasites, their biology, their site of infection on the hosts and the treatment methods for each type of parasite. The relationships between monogenean infections and environmental parameters are highlighted and also cestode as a pollution indicator.